Instagram has stopped support for inline display of instagram photos on Twitter timelime. Are you missing easy integrated display of instagram photos shared on Twitter pages? 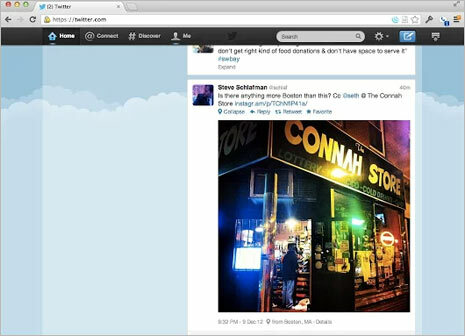 Previously, instagram images appeared in Twitter cards making it very easy to view and share further. Now, only link to instagram photo appear in the Twitter timeline. You need to click image link to open actual image on Instagram website page. 1. Google Chrome users can get back Instagram photo goodness on Twitter timeline by installing InstaTwit extension. Once you install this extension, refresh (press F5 key) Twitter webpage opened in Google Chrome browser. 2. After refresh, Instagram photos will start appearing in Twitter timeline as appeared in good old days. For sure on easy and quick workaround to get back instagram images support on Twitter. Only drawback of using this extension: users may experience little slowness in loading of Twitter webpages. This happens because extension need extra time to work in the background to restore Instagram photos display while loading your Twitter timeline. Except this, it works all good making Twitter more beautiful with amazing Instagram photos (as before).